As part of their epic Janky Kickstarter campaign last year, Superplastic asked collectors, fans, budding artists and more to design their own Janky and post it to Instagram as a fun, interactive Stretch Goal. Now Superplastic is seeking to rev up everyone's creative juices in 2019 with a fun My #Janky IG contest with the winner receiving an 8" SuperJanky blank that as far as we know is not available for sale. How do you enter? In a nutshell, design your own Janky using the official template and post it to IG. Ok, so it's just a bit more detailed (only just). Check out the official entry instructions for all the info. 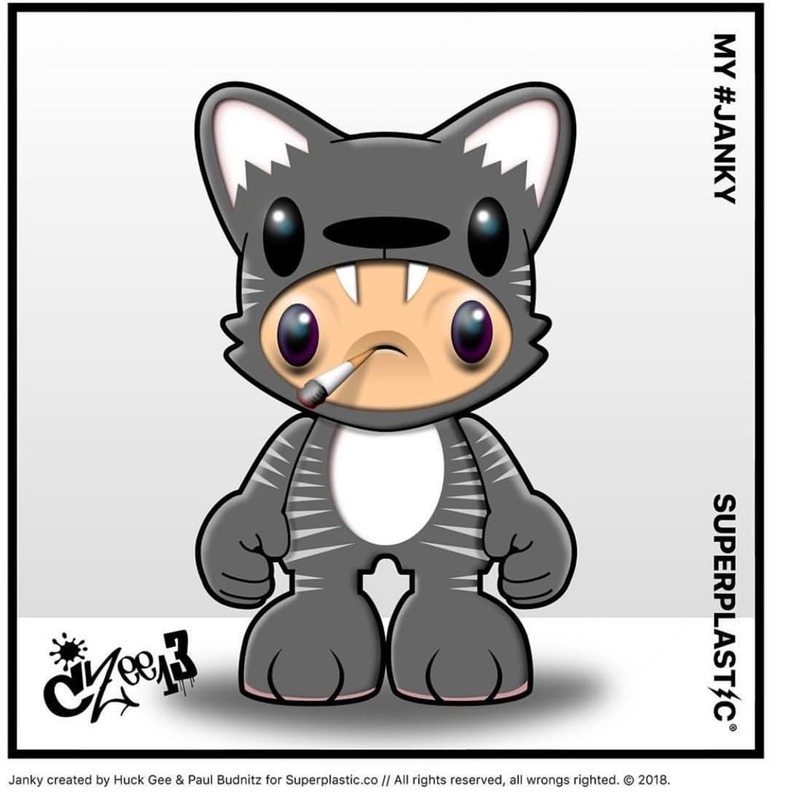 UK artist Czee13 has dreamt up his very own #Janky, can you top it? It's not yet clear how the winner will be chosen -- random or 'best' entry or ?